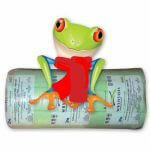 Think Green Insulation is a polyester Roof Insulation. Ideally used as a top up. OrUnfortunately, this insulation type does not meet the standards to achieve the recommended R-value requirements for the major regions. Think Green Insulation is more an economy type Roof Insulation. However, this insulation still does have reasonable Thermal Insulation properties for those who do want to install insulation in the roof space. 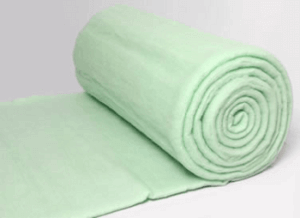 Thing Green Insulation is a polyester type of roofing insulation. 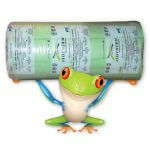 This insulation product is manufactured from PET plastic bottles. As we all know this is pollution in the sea as well as on land for hundreds of years. 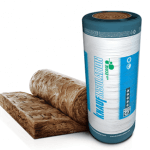 Therefore regarded as an eco-friendly insulation material. Polyester type insulation materials have a long lifespan, In fact, will outlast the lifespan of most homes. Cooler on hot summer days. Warmer on the cold winter days. Save on energy with reduced need for heating and cooling. Fire rating BB 1|2. This insulation will only burn with a flame if you have a fire in the roof space. Installed as Ceiling Insulation in homes as well as offices. Ideal for insulation in wendy houses. Can also be installed as wall cavity insulation. 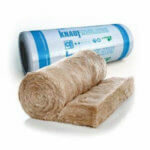 Unfortunately this insulation is not SANS compliant for the Western Cape Region or Johannesburg and Pretoria. However, it will be perfect as a top up to achieve the correct R-value 3.70 when installed. 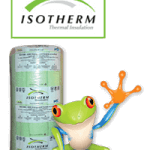 This insulation can be installed as SANS compliant in the KZN area. 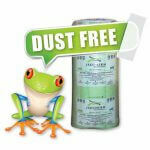 Think Green Insulation is soft to touch as the insulation is dust free and allergy free. 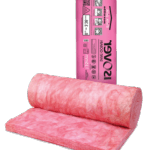 In fact, polyester type insulation materials are ideal for DIY installers as they have no itch factor when installing.